When Fjordman ofered me one of his essays for posting at La Yijad en Eurabia, I replied him he should not tell me this twice if he did not really mean it. Sure; I had no reason to doubt that he meant it indeed, but I wanted to suggest that a blog dedicated mainly to inform Spanish readers on the first skirmishes of the Third Jihad that we are sufferign and that only marginally has some English posts (see De rebus Hispaniae) does not really deserve it. Under these circumstances it is a privilege and an honor –and I say it sincerely and not rethorically- to publish in my blog his essay A History of Mechanical Clocks‏, which deals with a topic on which we had had an exchange. I have to say that I prefer reading his essays – and in general long and valuable texts- on paper instead of on-line. I enjoy them much more that way. But, as I have to dossify my readings, I read them ussualy one week after publiching, and it is then too late to coment on-line. I that case, after our exchange I wrote a post that proposses that medeivals invented modern time management: De cómo los cristianos medievales inventaron la gestión moderna del tiempo: El Libro de la Horas u Oficio Divino. It is in Spanish, but you will find some links to English texts. You can also find its main thesis –together with many other ones- in Fjordman’s essay: the need to follow a dayly timetable in the monasteries made necessary measuring time. For a complete Fjordman blogography, see The Fjordman Files. There is also a multi-index listing here. 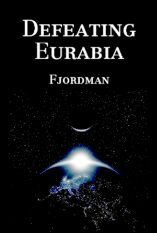 If, like me, you prefer reading on paper, you are invited to order a copy of Defeating Eurabia, Fjordman’s first book. The significance of the mechanical clock as an invention is easy to underestimate, but accurate timekeeping was of tremendous importance during the Scientific and Industrial Revolutions. Peoples in different corners of the Earth have used various devices or techniques to keep track of time. One of the earliest types of timekeepers was the shadow clock, or gnomon, and the sundial. Water clocks and sundials were employed in ancient Mesopotamia and Egypt. The ancient Greeks added further refinements to Egyptian devices. Ctesibius or Ktesibios of Alexandria, Egypt, a Greek inventor in the early third century BC, was famous for creating devices involving pneumatics, or compressed air. He is credited with the invention of a force pump, a catapult and a hydraulic organ, and made substantial improvements to the Egyptian clepsydra, or water clock, adding adornments such as ringing bells. The most sophisticated of his water clocks told the hours with a succession of moving puppets or whistling birds, the ancestor of the cuckoo clock. Clepsydras or clepsydrae were used for different purposes by the Greeks, in courts and in regulating the speeches of orators. All of Ctesibius’ texts are now lost, but his work was continued by others, notably by Philo of Byzantium, who was slightly younger than Ctesibius, and in the Roman period by Vitruvius and Hero of Alexandria. Sophisticated water clocks were certainly used during Roman times. The Antikythera Mechanism from about 100 BC is the most sophisticated mechanical device known from the ancient world. It was designed to calculate astronomical positions and to track dates of the Olympic Games. The Olympic Games were of great religious significance to the Greeks and were held every four years, but their importance declined after the Romans gained power and they were banned during the Christian period due to their connections to paganism. They were revived in the late nineteenth century as the Modern Olympic Games. While the Antikythera Mechanism is surprisingly complex, we have no evidence indicating that the Greeks or anybody else before the thirteenth century AD made mechanical clocks. The impact of better timekeeping devices on the world of sports was enormous. When Oxford and Cambridge in England met in March 1864 in the world’s first head-to-head athletics competition, the races were timed in quarter-seconds. At Stockholm in 1912, the Olympic Games experimented with photographic-electric timers clocking tenths of seconds; in 1924 in Paris they introduced instruments that could resolve hundredths. Yet there was stubborn resistance to the new ways. Not until 1960 at Rome were hand-held times finally abandoned and electric results accepted as official. Nevertheless, the demands for time accuracy in the sciences, especially in physics and astronomy, dwarf those of sports. Much of the subsequent information is taken from the book Revolution in Time: Clocks and the Making of the Modern World, Revised and Enlarged Edition by David S. Landes. The greatest weakness of this otherwise excellent book is that apart from a chapter about China it says little about other horological traditions before thirteenth century Europe. John North’s God’s Clockmaker about the clock built by the Englishman Richard of Wallingford (1292-1336) contains more information about clockmaking traditions before late medieval Europe. The Chinese writer, mathematician and astronomer Zhang Heng (AD 78-139), sometimes spelled Chang Heng, was born in the Eastern Han Dynasty. He constructed an equatorial armillary sphere representing the celestial sphere, and with this he was able to make accurate star maps. He also created the first known seismograph. This was of practical significance, but also because earthquakes could be seen as signs of Heaven’s displeasure with the Emperor’s rule. Eight dragons were mounted around a base consisting of eight toads with open mouths; a tremor would shift a pendulum within the base, activating lever devices that caused a bronze ball to drop from the dragon’s mouth into a toad’s mouth with a resonant clang. The English geologist and engineer John Milne (1850-1913) invented the first modern seismograph while serving as a foreign advisor in earthquake-ridden Japan in the 1880s. He promoted a network of seismological stations around the world. The German scholar Alfred Lothar Wegener (1880-1930) in 1915 published Die Entstehung der Kontinente und Ozeane (The Origin of Continents and Oceans), which contained the first full statement of the hypothesis of continental drift and the idea that all continents had once been part of a single, giant continent which Wegener named “Pangaea.” The concept of continental drift initially met powerful resistance, but was eventually expanded by later scholars into the theory of plate tectonics, which has become a very successful model for explaining why earthquakes happen. The Chinese astronomer, mathematician and Buddhist monk Yi Xing (AD 683-727) made one of the first known clockwork escapement mechanisms. David S. Landes calls Su Sung’s eleventh-century clock “a magnificent dead end.” Yet while “Chinese water clocks were probably the most advances timekeepers of that day” and the first European mechanical clocks were less accurate, the mechanical clock had far greater technological potential. Su Sung’s clock was discontinued, and this appears to have been the rule rather than the exception. The development of scientific instruments was dominated by false starts. Change came haltingly in the monopolistic atmosphere of the Chinese Imperial system, which often inhibited curiosity and originality. Even the pro-Chinese historian Joseph Needham remarks that from the first water-driven armillary sphere around AD 100 to Matteo Ricci (1552-1610), the Italian priest and Jesuit missionary who brought mechanical clocks to China – that is, over a span of more than fifteen hundred years – only a half-dozen, perhaps only four, astronomer-clockmakers revived the tradition at irregular intervals. Later, European clocks did attract some Chinese interest, but more as toys and “intricate oddities” than as useful instruments. One should give the Chinese credit for allowing foreigners such as Matteo Ricci to have posts within the Imperial bureaucracy in the first place, though this was greatly eased in his case by Ricci’s diplomatic personality and his willingness to blend in. Other European Jesuit missionaries and scholars followed, among them the Flemish mathematician and astronomer Ferdinand Verbiest (1623-1688) and the German Adam Schall von Bell (1591-1666). Temple’s book is so focused on the alleged superiority of China that it at times resembles propaganda more than serious scholarship. It contains many debatable claims and a few highly questionable ones, for instance that chess was invented in China; most historians believe that the first version of this game was invented in India. Temple frequently assumes, in this mirroring Needham, that this or that Chinese invention was transferred to Europe, sometimes without providing a plausible chain of transmission for this. The Chinese invention of gunpowder is widely accepted by most scholars, and it is possible, though by not proven, that the very concept of book printing had spread from East Asia to fifteenth century Europe where Gutenberg developed his printing press. In contrast, there are some scholars who believe that the compass was invented independently in several places, including possibly in Europe. I was unable to settle this issue while writing this text. The mechanical clock was by all accounts an original European invention; just as all forms of paper currently in use ultimately can be traced back to the Chinese invention of this substance, so all mechanical clocks date back to the European invention of such devices. We don’t know exactly where and when the first true mechanical clocks were made, but it was somewhere in Europe and most likely in the second half of the thirteenth century. The first eyeglasses were made at roughly the same time, probably around the 1280s in northern Italy. We still know less about the circumstances surrounding the first mechanical clocks. The most prominent element of European society at this time which had long constituted a timekeeping constituency was the Christian Church, particularly the monasteries of its Roman Catholic branch. The Benedictines were joined by other monastic rules after the eleventh century, among them the Augustinians and especially the Cistercians. Punctuality was important in the daily schedule of the monks, and David S. Landes believes that it was in the strictly regulated life of European monasteries that the mechanical clock was born. Not all scholars share this view, as Landes himself freely admits, but it is a plausible hypothesis and at least as likely as any alternative explanation I’ve seen. Until scholars have uncovered more evidence, this should in my view be treated as the most likely possibility. Even though the mechanical clock may well have originated within the monastic community, it soon spread beyond it. Already by the fourteenth century, many of the most impressive clocks were paid for by princes and courtiers or by the new urban, secular elites which had grown tremendously in number during the preceding time period. Clocks were the new status symbols of high-tech and wealth. There were also greater practical needs for timekeeping devices among commercial populations than there was in rural areas. The first clocks were not terribly accurate by present-day standards, but if there was only one central clock in a town, it didn’t have to be too accurate; what mattered was that there was one time common to all. The invention spread rapidly throughout Europe. A public clock which struck the hours was erected in Milan in 1335, and the oldest still-surviving clock in England is the one at Salisbury Cathedral, dating from 1386. These early clocks probably had errors of up to half an hour a day. It was only after the introduction of the pendulum clock in the seventeenth century that minutes began to appear on the clock face, followed by seconds on marine chronometers and astronomical clocks. By the early 1800s, accuracy had improved to less than a second. In the early fourteenth century, the Italian poet Dante Alighieri made a literary reference to a clock that struck the hours. In Padua, Italy, Giovanni Dondi (1330-1388), who had a great interest in astronomy, in 1348 began working on his great astrarium or planetarium, completed in 1364. Another early clockmaker was the Englishman Richard of Wallingford. Other clocks were built at Strasbourg Cathedral, at Lund Cathedral in Sweden, Cremona Cathedral in Italy, in Bern, Switzerland, Split, Croatia and elsewhere. Many of these clocks were highly ornamented. One beautiful astronomical clock is the Prague Orloj in the Czech Republic, created by Jan Šindel (1370-1443), a professor at Charles University, together with clockmaker Mikuláš of Kadaň. The Prague astrolabe clock was constructed around 1410, but has undergone numerous modifications since then. The original clock probably had only an astrolabe dial with a concentric ring that was adjusted to Bohemian hours each day at sunset. A new striking mechanism and the Moon hand was added in the mid-seventeenth century, and moving figures of the Apostles were added some decades after that. Clockworks were initially heavy and cumbersome devices used on major public buildings. Spring-driven clocks appeared on the scene gradually from the late fifteenth century onwards. The principle of the spring itself was an old one, but clocks made on this principle were hard to make. With miniaturization evolved the portable timepiece we know as the watch. The first watches were worn as jewelry, often around the neck, later to be replaced by pocket watches. Wristwatches only became popular in the twentieth century. Once the fashion of wearing watches took hold, makers vied for smallness; Francis I of France (1494-1547) paid a small fortune in 1518 for two that could be placed in the hilt of a dagger, and Elizabeth I (1533-1603) of England wore a finger ring that not only told the time but served as an alarm. The small timekeeper was a revolutionary instrument which stimulated technical skills. Huygens also developed a balance spring clock at roughly the same time as the great Englishman Robert Hooke. With the pendulum clock, it became possible for the first time to build timepieces accurate to less than a minute a day. During the eighteenth and nineteenth centuries, this was reduced to a second and eventually to a hundredth of a second or less. Although accurate pendulum clocks existed by the seventeenth century, keeping time at sea with them was difficult for practical reasons, and progress with astronomical methods was slow. In 1714 the British Government offered £20,000 for a solution which could provide longitude to within half-a-degree (2 minutes of time). The Englishman John Harrison (1693-1776) spent the rest of his life perfecting a mechanism that would fulfill these criteria. Harrison was a carpenter with little formal education, but with exceptional mechanical insight and determination. His famous H4 model was built during the 1750s, when virtually no-one yet thought of the pocket watch as a serious timekeeper. H4 was 13 cm in diameter and resembled a large pocket watch. The Board of Longitude, however, were reluctant to grant him the recognition and money he had properly earned. Captain Cook set out on his second voyage of discovery with a copy of H4. He returned in 1775, and the daily rate had never exceeded 8 seconds during the entire voyage. John Harrison’s excellent marine chronometer was belatedly recognized as having solved the longitude problem. Was there a connection between the Swiss tradition for clockmaking and Protestantism? Possibly in the Weberian sense of work ethic, but Landes argues that the connection is more likely to be found in the emphasis on literacy and numeracy. The mountain folk could all read and write, and they could reckon – the girls as well as the boys. Whatever the cause, beginning in the eighteenth century, Switzerland became the center of a watchmaking industry, particularly in the villages of the Jura Mountains. Excellent Swiss craftsmen travelled abroad; the best known is the great clockmaker Abraham-Louis Breguet (1747-1823). The Swiss kept at the forefront of technical innovation and enjoyed the backing of a well-developed financial sector, above all of their famous banking system. The Polish man Antoni Patek (1811-1877) created the famous watchmaker company Patek Philippe & Co.
Much of the production was export-orientated, not only catering to the Western market but to the Asian market, to China and India. During the seventeenth and eighteenth centuries, clocks figured with increasing frequency among the gifts to prominent individuals in the Middle East, and then as articles of commerce. Maintenance and repair of these unfamiliar devices were a problem in the Islamic world, and the practice arose of sending craftsmen along with the gift of clocks, to demonstrate their use and to repair them when necessary. The first public clocks were set up in the Middle East as late as in the middle of the nineteenth century. Much of the early European interest in clocks and watches was in no sense utilitarian. As mentioned before, many portable clocks were worn as jewelry, as fashion statements and status symbols. However, next to the grinding of glass lenses, the making of fine watches was among the most precise crafts in early modern Europe, and the technological know-how generated from this fed back into the making of other types of machinery. With increasingly accurate clocks, in Britain people could literally knock at the door of the astronomer at the Royal Observatory in Greenwich, London, to have their timepieces standardized against astronomical time. Britain was at this time the world’s leading maritime nation. British ships with their marine chronometers calculated longitude from the Greenwich meridian, which was considered to have longitude zero. This was internationally recognized in 1884, and the longitude (0°) of the Royal Greenwich Observatory is now known as the prime meridian. Banks and firms in the City of London, too, needed to know the exact time of financial transactions. After the introduction of railways, local time in various towns and cities needed to be synchronized against a national standard, Greenwich Mean Time (GMT). It took decades for quartz clocks to become small and cheap enough for personal wear. The Swiss were latecomers to this development whereas the Americans and especially the Japanese excelled at making electronic quartz watches with digital displays. The demand for these devices grew rapidly during the 1970s and 80s, often with Japanese companies such as Seiko in the lead. The Japanese played a prominent role in the electronics industry and contributed significantly to the digital revolution at the turn of the twentieth century. Quartz watches were technically so different from traditional watches that they almost constituted a new industry, but one that happened to compete directly with the established industry. Yet this did not spell the demise of the mechanical clock as a popular product, as some observers predicted when digital quartz watches first flooded the market. The Swiss fought back and have managed to reassert themselves as the major manufacturers of prestigious, high-end clocks and watches. In sheer numbers China, which has in the early twenty-first century become “the workshop of the world,” made up for her status as latecomer to the manufacture of watches and became the world’s largest producer of timepieces by volume. Switzerland has so far managed to maintain its edge when it comes to production by value. To some extent the mechanical clock has been reborn as a fashion statement, as it was in the beginning. We should of course keep in mind that even cheap watches today are vastly more accurate than mechanical clocks were in the beginning. They are often water-proof and have numerous added functions undreamed of by early horologists. Quartz clocks have themselves long since been surpassed by atomic clocks in accuracy. The time when mechanical clocks constituted the cutting-edge of scientific timekeeping devices is permanently over, but it was the mechanical clock that opened up the modern world of accurate timekeeping. El Parlamento de Somalia ha aprobado por unanimidad de los diputados asistentes la aplicación de la Ley Islámica o “Sharia” en todo el país. i think this was an excelent essay! Thanks for this brief, but informative essay. What strikes me, though, is that prior to the sixteenth century, clocks and watches were rather imprecise devices and thus not very useful per se. However much one wishes to argue about the need for a time keeping device for, say, merchants having appointments, a clock that can be off by half an hour cannot be that useful. So I can only conclude that clocks, and especially watches, were pretty much luxury toys, even in Europe, as they have been inferred to be in China, at least prior to the sixteenth century. After the sixteenth century, however, the needs of navigation were such that there was much more demand for accuracy, in particular for longitude measurement. So much for Chinese irrationality, isn’t it? And, moreover, coming from a woman!